Readers have probably noticed a few changes to the masthead of New Liturgical Movement in recent weeks. They began when our friend Jeffrey Tucker made it official to us that his absence from the duties of Editor was changing to a retirement, while he carries on his work in other spheres as a publisher, writer, and entrepreneur. This week Managing Editor Greg DiPippo has stepped up into the role of Editor, invited by our Publisher William Mahrt, president of the Church Music Association of America, which is the sponsor of NLM. All of us on the NLM team are grateful for these two fine writers and the energy they have brought to building this site. As it happens, today Shawn Tribe, the founder of the site, was inspired to write his own salute to his first two successors; we present it as a guest article. 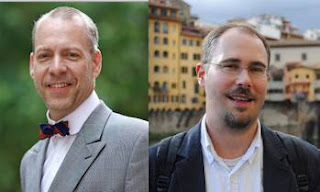 Transitions can be great times for reflection and during this moment of transition I would like to take the opportunity to pay tribute to two men: Jeffrey Tucker and Gregory DiPippo. Many of you will know that recently Jeffrey Tucker stepped down as editor of NLM and Gregory DiPippo has now moved into that role. Anyone who has run a site will know how time consuming a project it can be, especially if it is a project of any seriousness or size. Between writing articles, sourcing out photographs and images, not to mention managing comboxes and private correspondence, time is at a premium -- never mind all of the other things that need to be done to maintain a site, from its coding to other administrative tasks like renewing domains and dealing with broken links and otherwise. All of this comes in addition to editorial tasks when such a site has more than one writer and, what's more, this is not even one's day job in instances such as these; it all happens in one's "spare time" -- whatever that is. Fortunately NLM has now evolved to include people who specifically take care of these different aspects rather than having them fall upon one person's shoulders, nonetheless the burden of an editor should never be underestimated. It is no small commitment of time or energy. When the NLM project began in 2005, my philosophy then, as well as for the rest of my tenure at NLM, was that the NLM project was multi-disciplinary and if it were to succeed and be relevant, there needed to be good and knowledgeable writers to represent and speak to those various disciplines to a level and quality that would not be attainable -- or sustainable -- by any single person. Accordingly, I sought out writers who I felt were amongst the best in their particular areas. Both Jeffrey and Gregory certainly fit into this category. Jeffrey was involved from the earliest days of the project back in 2005 and what always amazed me about him, aside from his copious practical and theoretical knowledge of sacred music, was his ability to toss off a quality article seemingly at will. The prodigious volume of his work has always amazed me. To this day I have no idea how he does it and it hardly comes as a shock that in his affairs outside of NLM he is wildly successful. From the earliest get-go Jeffrey was one of the strongest supporters of and advocates for the ideals and goals of the New Liturgical Movement and given his tenacity, when the time came for me to move on, I certainly felt assured that the project would continue under his steadfast watch -- as it indeed did. Now that Jeffrey has himself retired from NLM, it seems only fitting that I should thank him on both counts. Gregory: I first met Gregory in 2008 when I was travelling to Rome and Milan. This trip had a dual purpose. One was to be present for the inaugural activities associated with Ss. Trinita being assigned to the FSSP in Rome. The second was to attend an event which afforded a rare opportunity to observe the usus antiquior Ambrosianus. Gregory was present for both events and so there was ample opportunity for conversation. 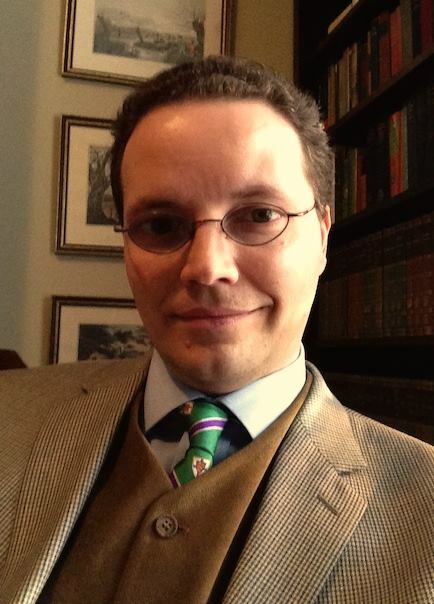 I can recall the specific moment when we were sitting in a Roman restaurant enjoying a glass of Limoncello after dinner when the thought crossed my mind that Gregory, with his fluent knowledge of Latin, his immense knowledge of Roman history, his ceremonial knowledge of the Roman rite and general knowledge of Roman liturgical history, would make an excellent addition to the NLM team. Over that same glass of Limoncello I casually tossed out the idea to measure what his reaction would be and, as it was not received with any sort of obvious distaste, a few weeks after I had returned home I contacted Gregory by email and noted that I was actually quite serious in my proposal that he consider joining the team of NLM writers. The rest is, as they say, history -- and what an addition he likewise made. As I look back, I can say that the NLM project would not be the same without all those writers who have participated in the project over the years and each of them is deserving of their own tribute -- something that I hope I will have the pleasure of doing in the future for each and every one of them. As for Jeffrey and Gregory, both have been key figures and components in the success of the project and I wish to personally thank them for their commitment to it over the years as writers and eventually also as editors. Your efforts, gentlemen, have been of inestimable value. Thank you.